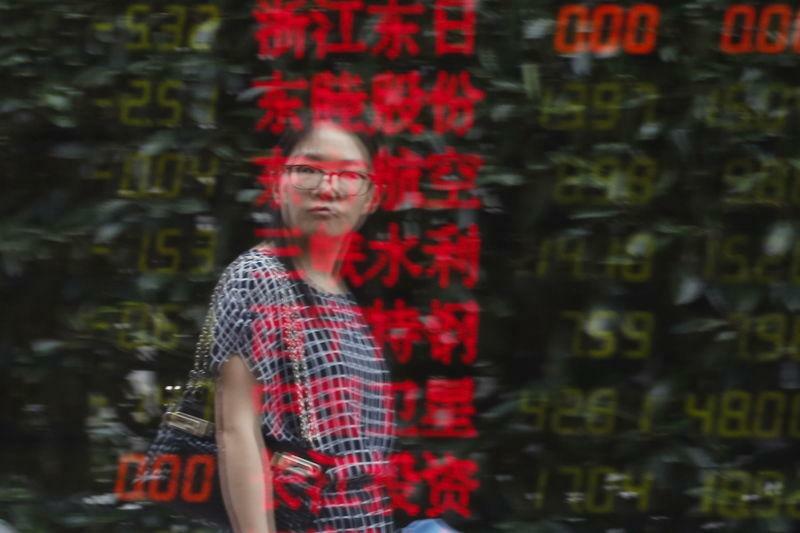 SHANGHAI (Reuters) - China's state media expressed confidence on Monday that an unprecedented flurry of support measures announced over the weekend would stabilize the country's slumping stock market. "Rainbows always appear after rains," said an editorial by the People's Daily, the mouthpiece of the ruling Communist Party of China. "(China has) the conditions, ability and confidence in maintaining capital market stability," the newspaper said. State media has played an important role in the 25-year history of China's stock market as investors trade more or less in line with perceived government policies towards the market. The government and investors are anxiously awaiting the market opening on Monday to see if the new measures will halt a 30 percent price plunge in the last three weeks, or if panicky investors who borrowed heavily to speculate on stocks will continue to sell. Weekend steps included a pledge by China's biggest brokerages pledged to collectively buy at least 120 billion yuan ($19.3 billion) of shares to help steady the market, and a slowdown or total freeze on new share sales. Editorials by the People's Daily have repeatedly helped lead to boom and bust in China's stock market as they represent, or sometimes are regarded as representing, the attitude of the most senior authorities. Emphasizing the importance of the capital markets in China's economy, the official Xinhua news agency in a commentary urged investors to have more confidence in the market. "With a slew of market-boosting steps having now been taken, it is reasonable to consolidate confidence in the stable and healthy development of the capital markets," Xinhua said. Similar comments were repeated in nearly all financial newspapers, including the most influential China Securities Journal and Shanghai Securities News.